Cera-5's astaxanthin is harvested from the best source of astaxanthin in the world: the deep red microalgae Haematococcus pluvialis. Astaxanthin is an example of evolution at work. Normally, the microalgae that swim about freely in pools of water are green. However, when the water pools dry out and the algae are exposed to intense sunlight, they begin producing large quantities of bright red astaxanthin. Why? Because astaxanthin is a powerful antioxidant that protects the algae from UV radiation, allowing them to survive - even in the harshest of conditions. Astaxanthin is a red pigment molecule that is a member of the carotenoid family found only in a certain type of freshwater microalgae called Haematococcus pluvialis. When eaten by shrimp and crustaceans, the pigment lends its reddish hue to their shells. As astaxanthin makes its way up the food chain, the color becomes still more concentrated, creating the beautiful reds and pinks we see in fish such as salmon and in marine birds like flamingo. AstaREAL's Astaxanthin is cultivated in state-of-the-art photobioreactors, with the end result producing deep-red powder that has a very high level of astaxanthin. The powder is further processed to make it suitable for consumption. Why Astaxanthin Is Mother Nature’s Most Powerful Anti-Aging Molecule? Human dermal fibroblasts were pre-incubated with antioxidants before exposure to singlet oxygen, and cell viability was measured to compare the protective efficacy. Strongest Singlet-Oxygen Quencher Among Anti-Aging Molecules. Astaxanthin functions as a natural sunscreen for marine plants. Because it is so effective at absorbing solar radiation, investigators first proposed it would make an effective topical sunscreen. But as researchers looked closer, they discovered that astaxanthin also shields other areas against destructive free radicals, offers mitochondrial protection, has anti-inflammatory effects, and provides protection from glycation. Almost every cell in the body - including the skin, eyes, brain, heart, and kidney - can benefit from astaxanthin. Numerous studies show that astaxanthin can rejuvenate skin from within. Even though astaxanthin is widely distributed through most organs in the body, it accumulates in the skin where it makes its way into all skin layers (topical sunscreens can reach only the outermost layers). This can provide potent protection against ultraviolet radiation - the cause of skin cancer. 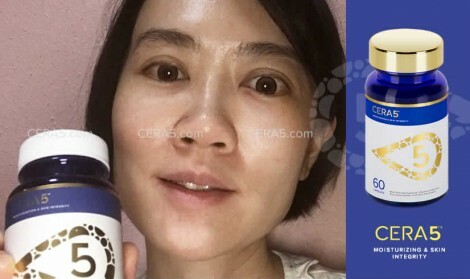 But the biggest effect seen on the skin is - GLOWING, PINKISH, and LIVELY LOOKING SKIN that you often see on celebrities walking down the red carpet. Skin cells that are exposed to ultraviolet light produce bursts of free radicals that trigger aging effects (saggy and wrinkled skin) and even promote cancer. Luckily, studies have found that astaxanthin provides 100-200 times stronger UV protection compared to other carotenoids such as lutein and beta-carotene. In a 2002 study, skin cells treated with astaxanthin suffered significantly less DNA damage when exposed to UVA light. In addition to that, the skin cells’ endogenous antioxidants like glutathione were protected by astaxanthin’s antioxidant capability. Human studies demonstrated that consuming an adequate amount of astaxanthin(2-4mg) daily for 6-8 weeks reduced crow’s feet wrinkles, water loss, and age spot size while enhancing moisture content, elasticity, and skin texture in both men and women. Ceramides are a special lipid present within the human organism, more specifically, in the stratum corneum (the outermost layer of the skin). Their purpose is to bind with skin cells to form a “brick and mortar” which together form a very important shield or barrier that protects the skin by “sealing” the skin and keeping harmful things out, such as dirt, bacteria and any of the elements our skin may face each day. Another important benefit of ceramides is to help keep moisture locked inside the skin. One of the challenges our skin face is that as we age, our natural ceramide levels decrease. This leads to our skin becoming thinner, drier and causing fine lines and wrinkles to start appearing. Fortunately, scientists has, through extensive studies, discovered that Phyto Ceramides is an exact replica of the body’s natural ceramides. Found in almost the same amount as cholesterol and saturated fatty acids, ceramides help form the water-permeable, protective skin layer that prevents excessive water loss through evaporation. Studies have shown that aging skin contains less ceramides, but more cholesterol and fatty acids. The reduced skin integrity leads to the formation of wrinkles, itching, fragile skin, and a diminished ability to recover from skin damages. 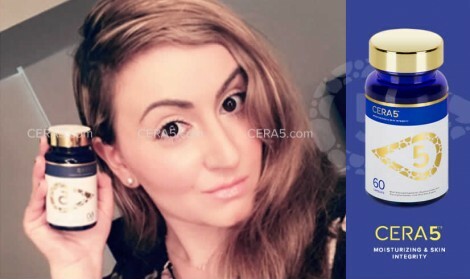 • An in-house study that tested the moisture-enhancing properties of ceramide showed that ceramide-supplemented subjects had more hydrated skin than those who used topical moisturizers and other types of supplements. The ceramide group also found that their skin stayed hydrated longer and felt smoother than usual. • Researchers have also found that oral ceramides are delivered efficiently to the stratum corneum layer of the epidermis via the bloodstream. The ceramides support the structure of our skin, improving water-retention and hydration of the skin. 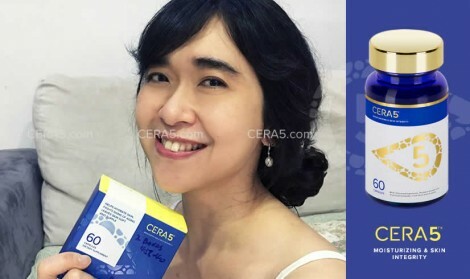 • Ceramide has the benefit of making skin fairer. 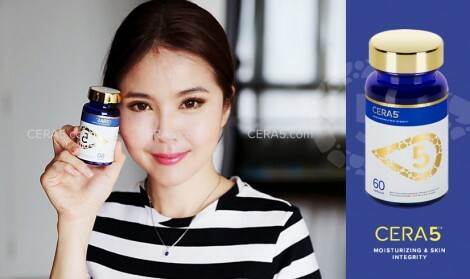 In vitro studies showed that ceramide was more effective than ascorbic acid, arbutin, and ellagic acid at inhibiting melanogenesis (the melanin generation process). Melanin is what makes skin looks darker and normally forms from skin exposure to the sun. R-Alpha Lipoic Acid is one of the few antioxidants that are both fat- and water-soluble, allowing it to work throughout the body. This is important because Alpha Lipoic Acid can access all parts of the cell, giving it tremendous ability to trap free radicals wherever they may be. One of the leading causes of aging is free radical damage. Studies have found that R-Alpha Lipoic Acid also crosses the blood-brain barrier, making it a good candidate for protecting the brain from free radical damage. It also stimulates insulin production and is often used to treat diabetic patients in the past century. Alpha Lipoic Acid (ALA) is one of the strongest antioxidants that can be found in nearly every tissue in a healthy body. A small amount of ALA is produced naturally by your body, but a major portion of what you need must come from eating red meat, organ meats, brewer’s yeast or from dietary supplements. 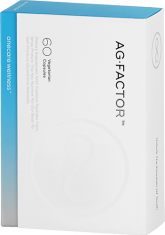 Additionally, ALA increases the generation of glutathione, a very important antioxidant that the body generates. Glutathione is responsible for clearing many different toxins and free radicals in our bodies. 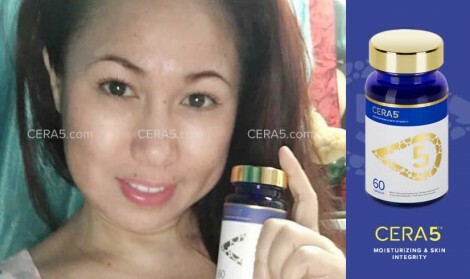 Increasing glutathione levels also has the added benefit of increasing toxin secretion as it binds easily to all toxins and is secreted through our urine. Cera-5™’s RALA is fully stabilized by a proprietary process and has increased absorption and durability. RALA is a powerful antioxidant and has great effects on skin quality. Most lipoic acid products contain a mixture of its two variants, so-called S and R forms. (For the scientifically inclined, these are two different optical isomers of lipoic acid.) While both S and R forms are potent antioxidants, only R-lipoic acid improves cellular energy production and reduces inflammation, making it much more beneficial to the human body. 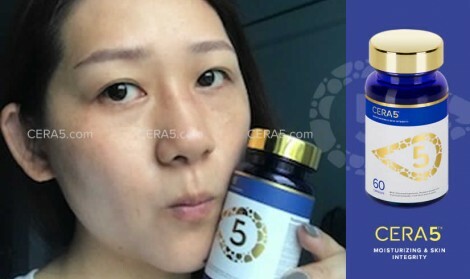 Compared to commonly sold Alpha Lipoic Acid supplements, Cera-5™’s RALA has increased shelf life, bioavailability, and effectiveness. 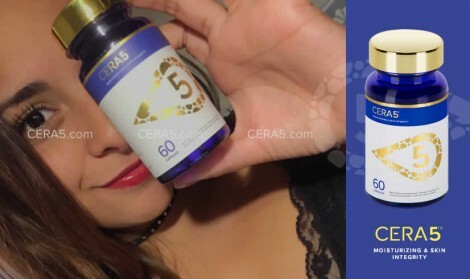 Studies revealed that subjects consuming Cera-5™’s RALA had 40 times higher Lipoic Acid levels in their bodies compared to those who took an equal amount of normal ALA.
• Lipoic acid is a potent and versatile antioxidant, helps to slow down the process and reduce the effects of aging. • It inhibits cross-linking which is the formation of chemical bridges between proteins or other large molecules. Cross-linking contributed to the aging process by causing hardening of arteries, wrinkling of the skin and stiffening of joints. • Finally, it has a capacity to neutralize and remove from the body a variety of toxic metals. Less Toxins = Clearer Skin! Traditionally, Lychee Seed Extract (LSE) has long been sought-after for its natural ability to promote healthy, white, supple skin. This may be due to the fact that it has abundant skin-friendly nutrients, namely B complex vitamins such as thiamine, riboflavin, niacin, folates and copper. Thiamine assists the body in metabolizing fats and protein for healthy skin. Niacin boosts the hydration levels in the skin, while copper, in small quantities, helps to speed up the healing of damaged skin. All these benefits make lychee a super fruit for your skin. Additionally, these vitamins help the body to metabolize carbohydrates, protein and fats. It has a high level of Beta-Carotene which strengthens the immune system and improves the function of liver and other organs. But the most beneficial component of lychee is by far Oligonol, which is a low molecular weight polyphenol found abundantly in lychee. Oligonol enhances beauty mainly by helping to improve blood circulation, reduce weight, and protect the skin from harmful UVA rays. 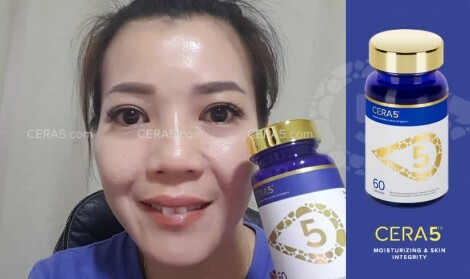 It decreases deep fat, raises sideline blood circulation, decreases post exercise exhaustion, raises stamina, and reduces facial lines and brown spots. 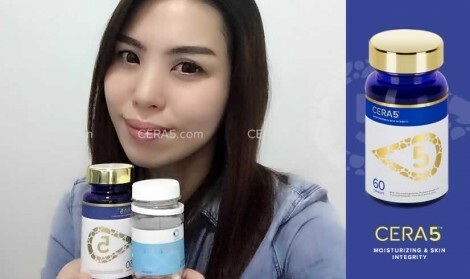 Lychee Seed Extract (LSE) is incorporated into the exclusive formula of CERA5™ because, as a cosmeceutical food, it can inhibit the degradation of collagen, elastin, and hyaluronic acid in the skin. 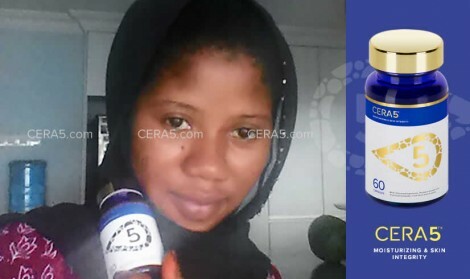 In terms of skin lightening effect, LSE has been found to inhibit tyrosinase, an enzyme that produces melanin and darkens the skin. Collagenase is an enzyme that breaks down collagen and is one of the main factors behind wrinkles and sagging skin. LSE inhibits collagenase even at low concentrations, which means that LSE can be used to reduce collagen degradation. In fact, studies have shown that LSE can increase the production of collagen in the skin! Lychee Seed Extract Inhibits Hyaluronidase, an enzyme that Degrades Hyaluronic Acid. Hyaluronic acid is used in the adhesion and protection of cells, the formation of skin tissue, and the maintenance of tissue moisture and flexibility. Lychee Seed Extract can be used to Reduce Collagen Degradation. In fact, studies have shown that LSE can increase the production of collagen in the skin!